High performance meets comfort and style in the completely redesigned 2019 FX Cruiser SVHO. 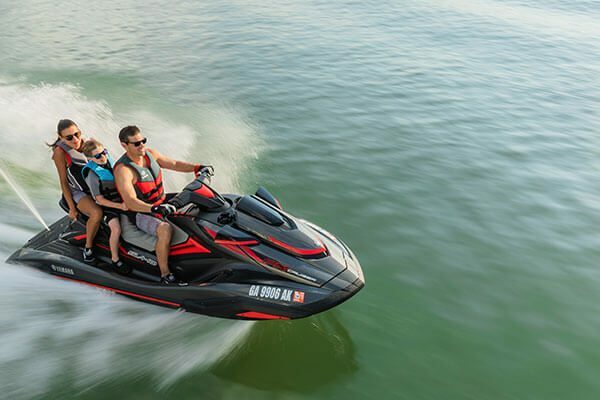 Powered by Yamaha’s race-proven, supercharged Super Vortex High Output marine engine, this machine combines a dynamic driving experience with high-end luxury appointments that create a one-of-a-kind ownership experience. The world’s first dual handlebar throttle control system is easy and intuitive. Pull the right lever to go forward, and the left lever for reverse. Pull them both, or in any combination, and the system reacts with precise control. 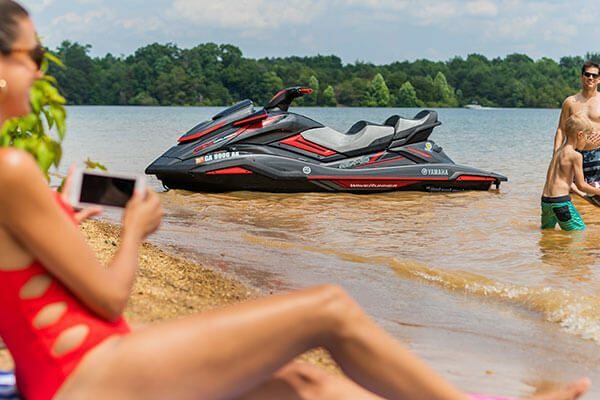 The FX Cruiser SVHO is powered by Yamaha’s all-new 1.8L supercharged, Super Vortex High Output Marine engine that is the most technologically advanced engine ever designed for a personal watercraft, delivering up to 20% more power and torque than any engine ever in a Yamaha WaveRunner personal watercraft. 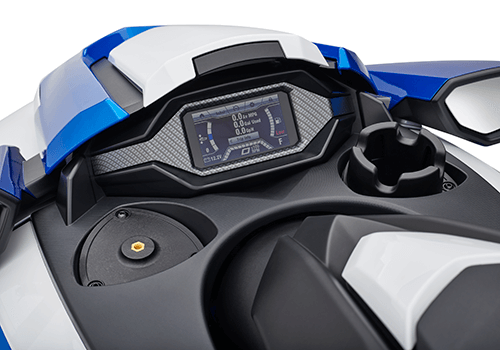 Yamaha’s exclusive Reverse Traction Control : This unique automatic electronic control is programmed to optimize the jet pump efficiency when moving in reverse. 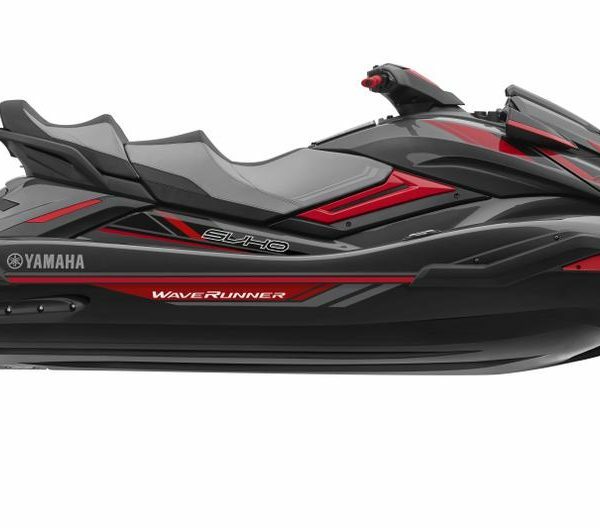 NanoXcel 2 : New for the FX Cruiser SVHO is the second generation of Yamaha’s proprietary lightweight NanoXcel hull, deck, and liner material. NanoXcel 2 reduces the weight by 46 lbs while maintaining the structural integrity of the watercraft. Three-person Cruiser® seat: Incredibly roomy this three-person Cruiser seat features the industry’s only theater-style seating, offering spaciousness and a thrilling view for everyone on board. Industry’s First Remote Controlled Transmitter: With the touch of a button on Yamaha’s innovative remote controlled transmitter, you can activate and deactivate the FX’s digital security system and Low RPM Mode from up to 30 feet away. New Extended Ride Plate – The shape and length of the ride plate determines stability, time to plane, and straight-line trackability. The new extended ride plate on the SVHO models is designed specifically to deliver the best handling characteristics possible.